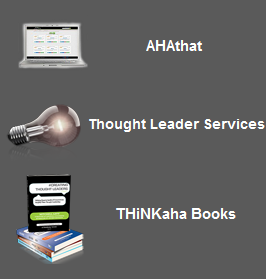 #BOOKTITLE tweet Book01 | THiNKaha: Become a recognized expert in your field of expertise. Compelling thought leadership content. 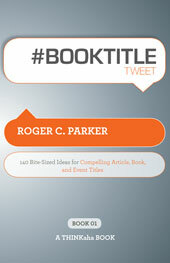 #BOOKTITLE tweet stimulates a new way of thinking about titles and outlines a process for choosing perfect titles and subject lines. #BOOKTITLE tweet gets you to rethink the importance of titles and see the central value of the title in all your written projects. It demonstrates the importance of market research and early feedback in title selection. By focusing on the power of a title, it gives you a head start on a broad range of writing projects and helps you to examine them in the context of the needs and interests of your readers. Roger C. Parker is a “32 Million Dollar Author,” book coach, and online writing resource. His 38 books have sold 1.6 million copies in 35 languages around the world. In this book he shows you how to take a fresh look at titles and re-examine their effectiveness. The hundreds of examples he provides will inspire you to recognize good titles when you see them, and apply their lessons to your own projects. #BOOKTITLE tweet coaches you to welcome writing projects, and optimize your written communication to maximize the value of your time, your money, and your brand. 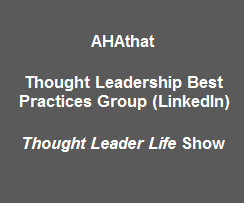 #BOOKTITLE tweet is part of the THiNKaha series whose books contain 140 well-thought-out quotes (tweets/ahas). Read the book review in The Book Designer, practicle advice to help build better books. #122 Study headlines on magazine covers. Book titles, like magazine headlines, must grab readers’ attention and engage their interest. Roger has interviewed hundreds of successfully branded authors. He distils his experience in this book and shares what he learns at Published & Profitable, and on his Writing Tips blog.